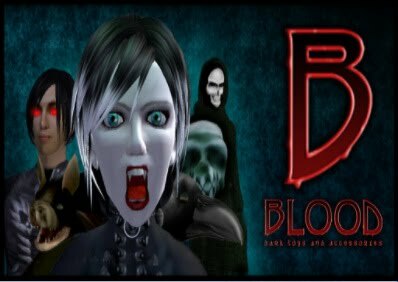 Vampire 2: santuary of darkness? Second Life...where the socializers and roleplayers rub shoulders with the shambling corpses from The Academy. Those vamps are lucky I didn't make an avatar out of my utterly evil Voodun cultist, Okonkwo Richelieu. I once ran him in Vampire the Masquerade and it was wicked fun. Effective vampires do not say "cool." They say things like "it is going to be fun to see this city bleed on Mardi Gras." Well, my next post will be about why contact with that social and RP aspect of SL may not be needed. Can faculty building a simulation simply do it without SL? This will likely get me in trouble with your new vampire friends. I maintain my point that if vampires wish to remain true to form in SL, they should in point of fact, burst into flame every four hours as sunlight hits them, should they be caught outside, accosting the innocent. That would at least return some sport to the whole thing. Well, they did not try to bite me. I'm so over vampires, Viv. As a geek-pal at the game store said "Tragically hip is so 1990s. Now we have zombies, the tragically unhip." Most zombies have at least one hip. It's hard to chase brains otherwise. Happy first day of classes Iggy! Just Because: New Look at I.A.S.L. Cyberpunkish Musing: Utopia? Or Dys? Why DO Educators Need Second Life?